You already live in your kitchen. 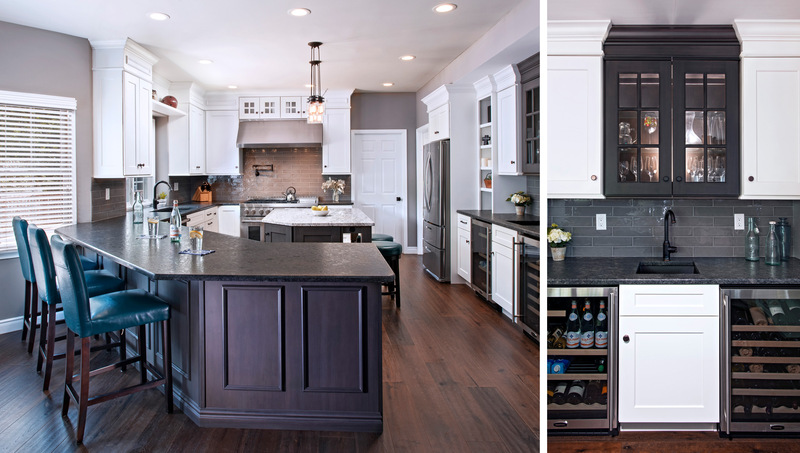 Every home — and every gathering — centers around the kitchen. From the morning's first sip of coffee to that midnight snack, you already live in your kitchen. Live well. Zook's approach to kitchen design extends beyond cabinet styles, floor plans, and the logistics of a renovation. 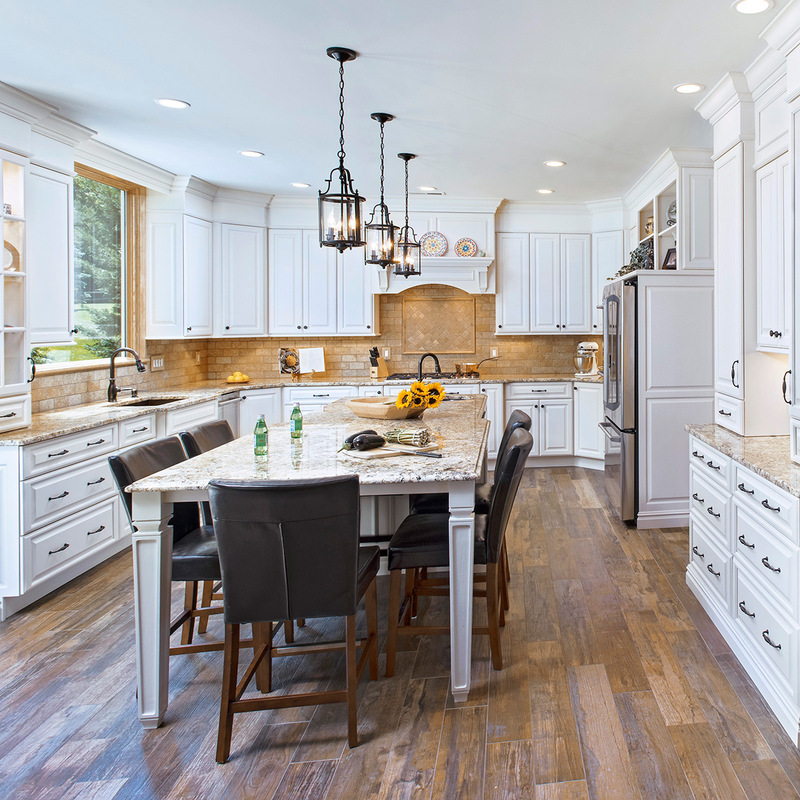 We believe that a well-imagined kitchen can boost efficiency, reduce stress, and tailor your home around your family. Our teams works closely with you to identify your functional needs, find the styles that complement your home, and put together a plan that minimizes inconvenience and maximizes value. With each project comes an opportunity to add style, functionality, and personalization. 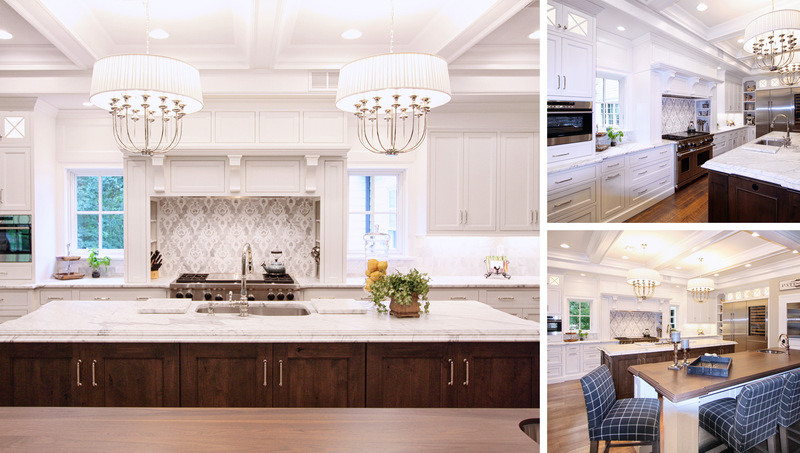 This lookbook features a selection of our recent work showing how an expertly-designed kitchen can transform a home. 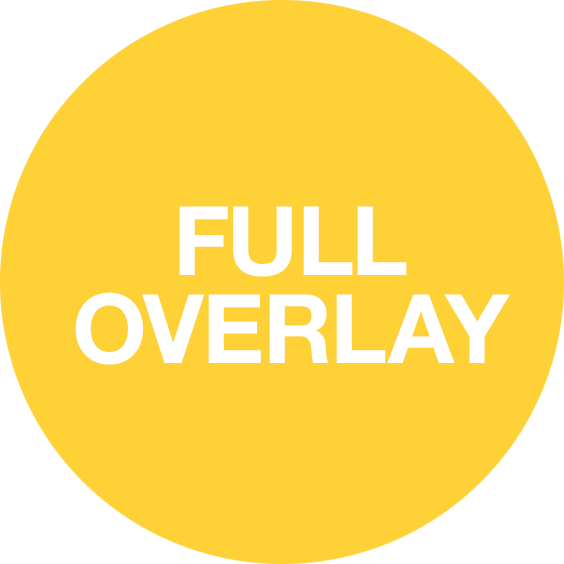 For additional examples of our work, please contact us. Your new kitchen should excite you! The process of designing your kitchen should be an enjoyable and comfortable experience. We are a husband and wife team with a talented, professional staff, completely dedicated to you. 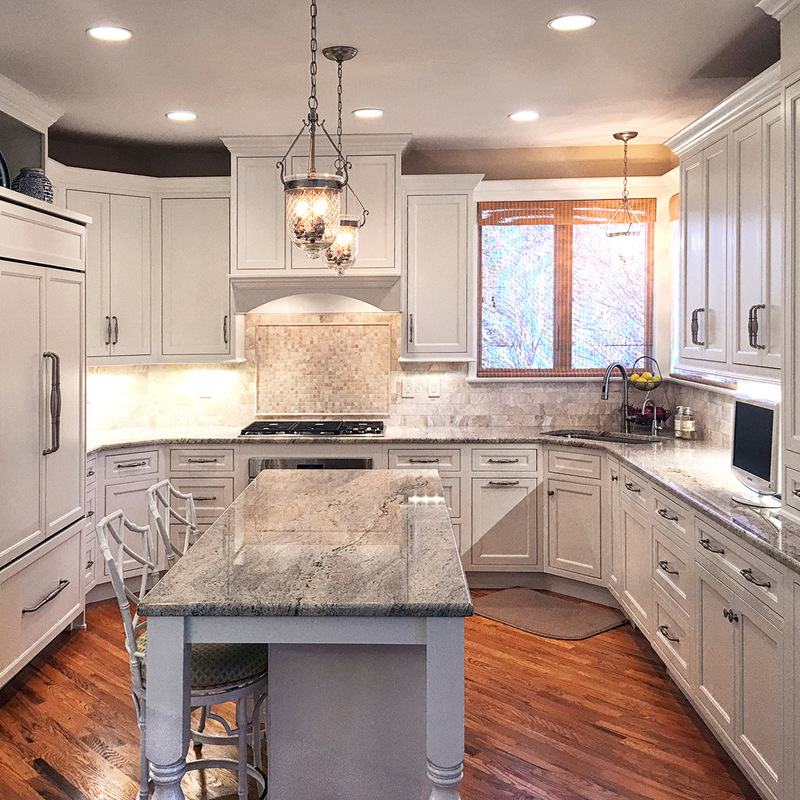 Our service and personalized attention allows us to achieve our goal of making your kitchen renovation a smooth and pleasurable experience. 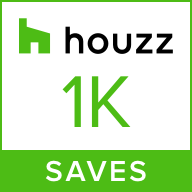 Please see client reviews of our work at Houzz. Greg has over 30 years of experience in the kitchen industry. 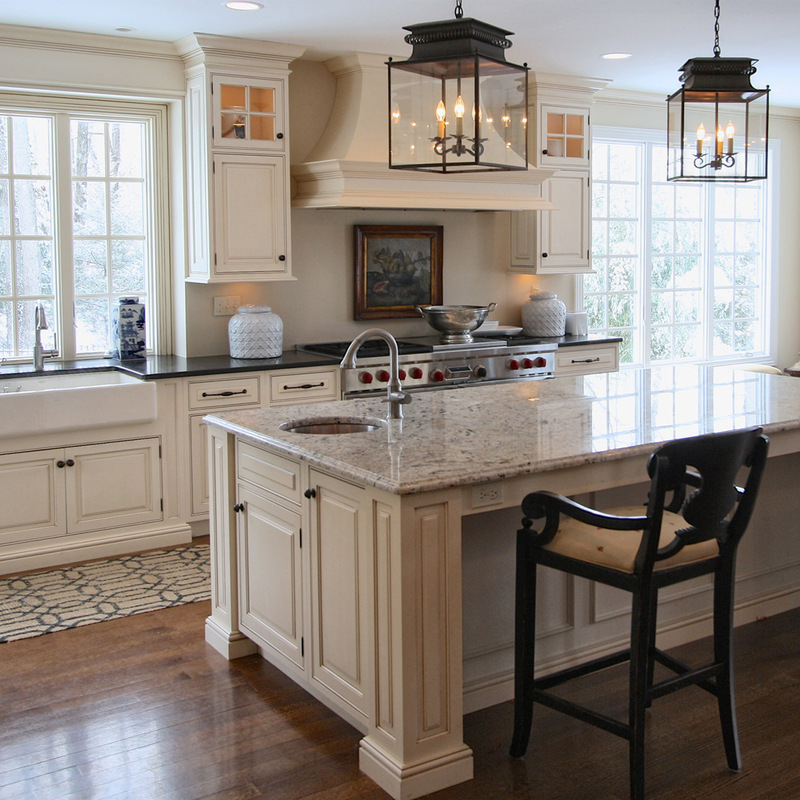 In 2001, we started Zook Kitchens to serve the needs of homeowners in Central New Jersey. 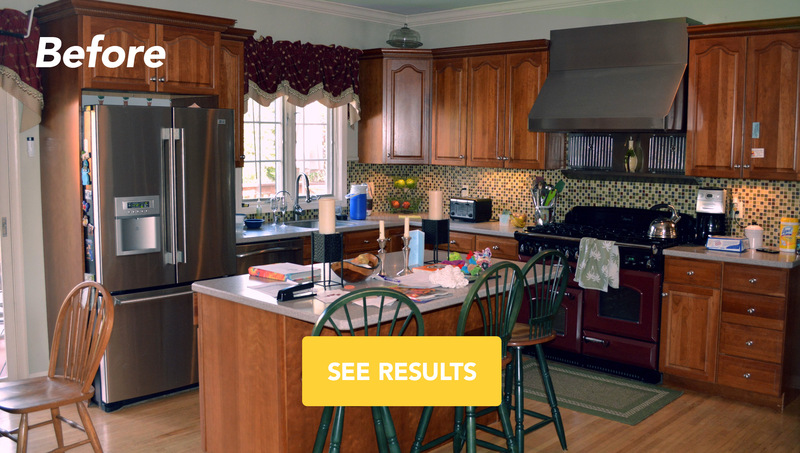 We offer full service remodeling of your kitchen. 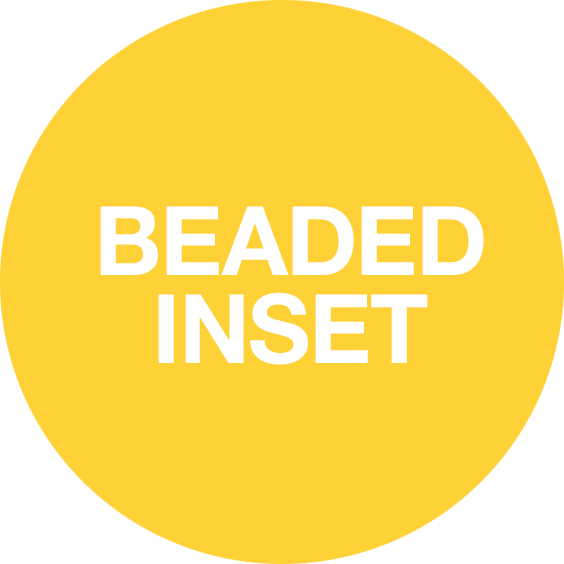 From design work to installation, with changes to flooring, electrical and plumbing needs, our full team is available to you. Our clients choose us because they are confident that we will manage the renovation process and use only experienced professional craftsmen on their project. While many of our clients are homeowners in need of start-to-finish guidance, Zook has extensive experience partnering with professional home builders and renovators. 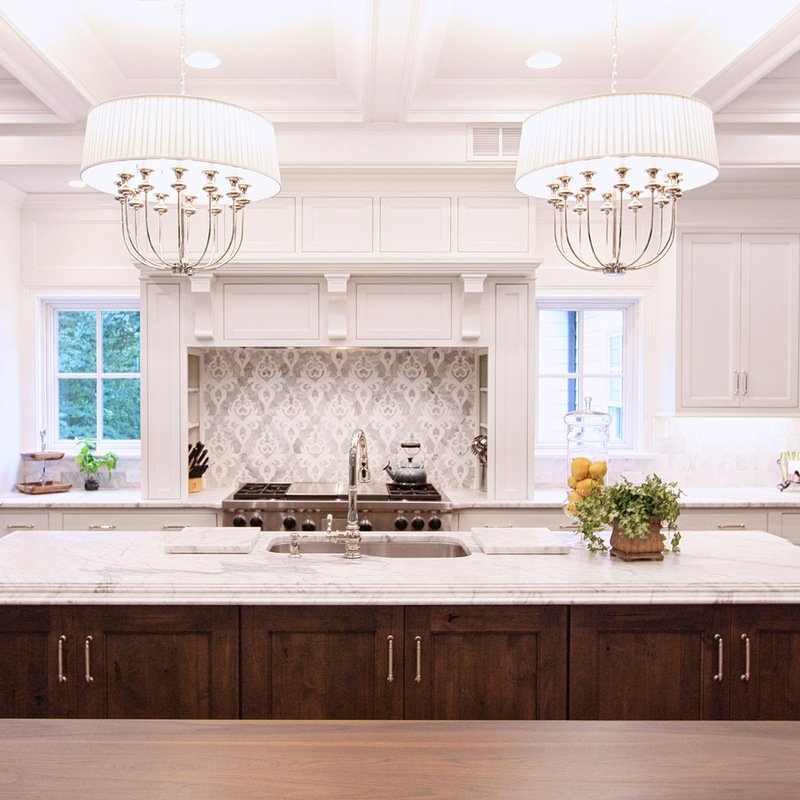 Decades as a supplier/installer of cabinets and countertops and an impressive breadth of product offerings ensure that Zook can assist you in delivering a winning kitchen design. Contact us today to discuss how we can work together. appointment with a kitchen designer today! Mixing the utmost in elegance and refinement with practical utility, this space evokes the height of French decor. 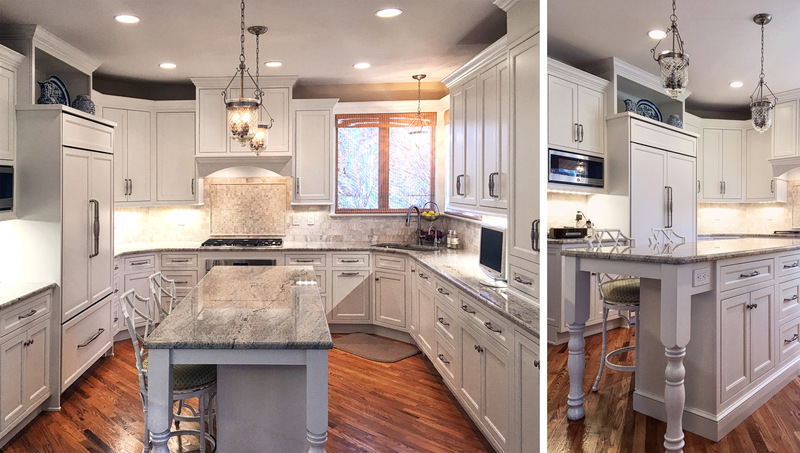 Detailed marble counters are married with dramatic wood tones and crisp white cabinetry. 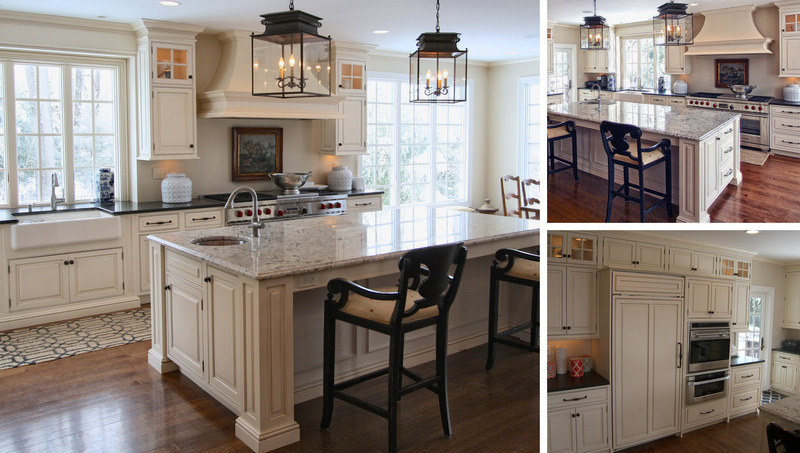 Stunning chandeliers call attention to the coffered ceiling while ornate tile frames the focal point of the range. 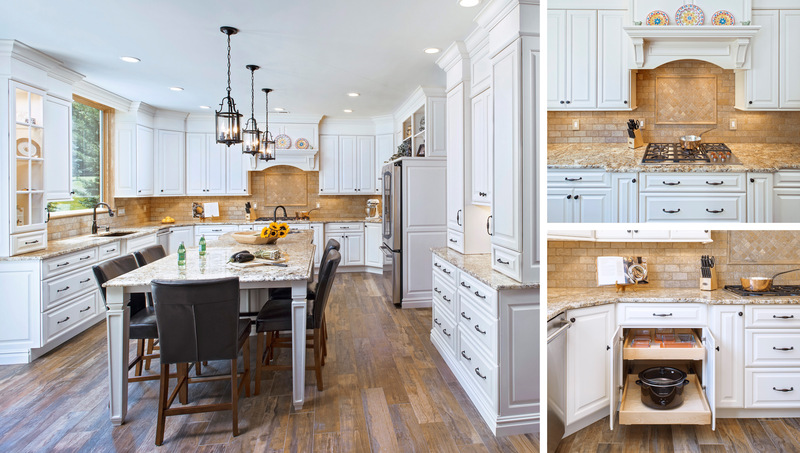 This kitchen marries luxury with practicality, featuring a spacious island with ample seating space, bountiful storage, and convenient features like pull-out shelving. 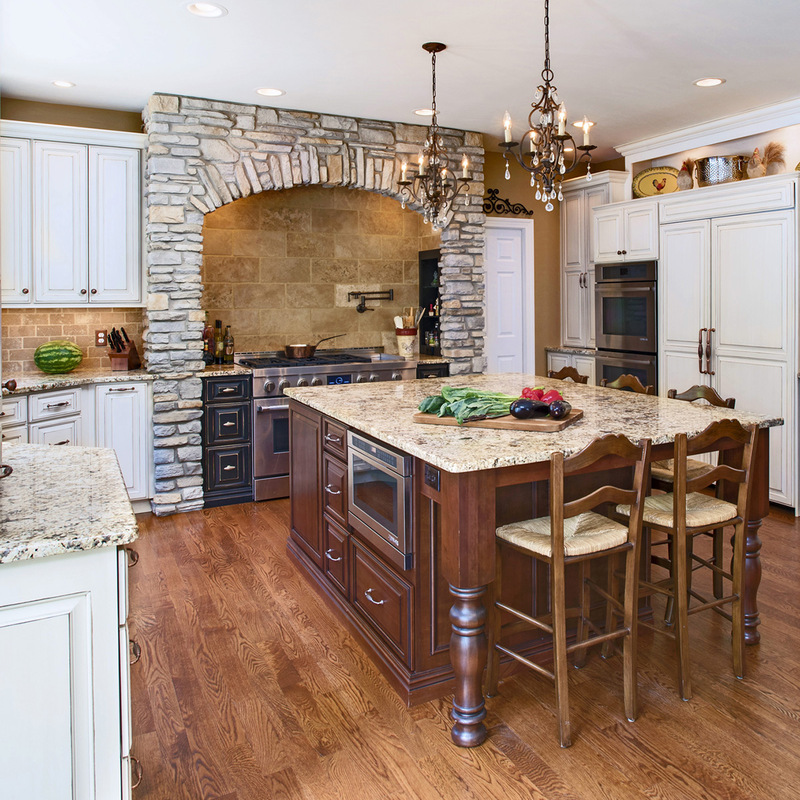 Natural stone surfaces and backsplashes complement the flooring and add warmth to the crisp white space. 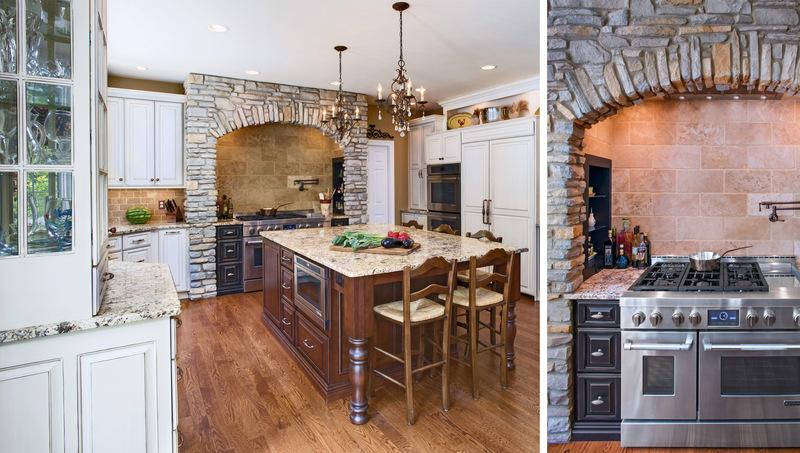 Time-honored touches like grand turned legs, stacked stone, elegant pendants, and glass display cabinetry give this space ample character. Helpful touches like range-adjacent shelving and drawer space and the always-convenient pot filler make time spent in the kitchen a pleasure. The cranberry AGA range may be the star of this light and bright kitchen, but the supporting cast deserves recognition as well. Dramatic countertops, graceful crown molding, and built-in bookcases give the room a tailored, one-of-a-kind feel. Kitchens with uncommon shapes and angles can present a challenge. 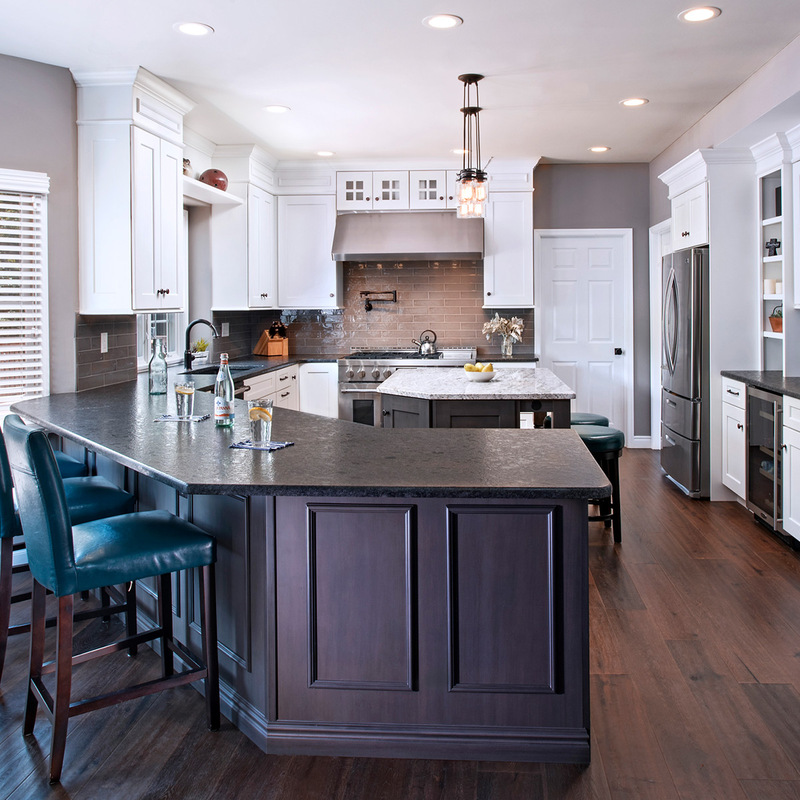 This kitchen makes innovative use of the open concept, drawing the base cabinetry out into the living space. The resulting peninsula boosts storage, workspace, and creates a convenient eat-in counter. Dark and light tones create a dramatic interplay between components. 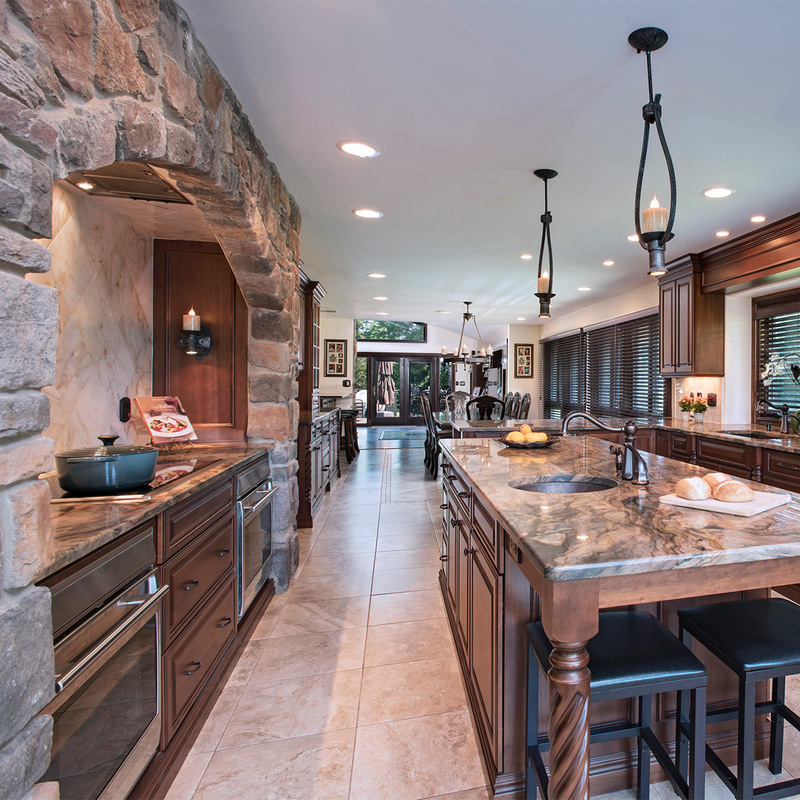 Classic touches of luxury abound in this impressive yet welcoming kitchen. 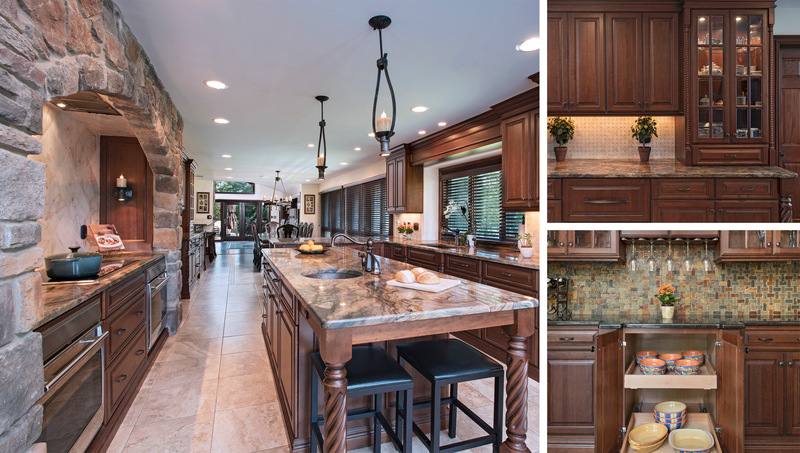 A stone-clad cooking area, complete with candle-lit sconces, a substantial island with gorgeous stone and intricate wood carving, and illuminated glass cabinetry with basketweave backsplashes all work together to make this space feel like no other. Expansive windows flood this space with light, and the beaded inset cabinetry continues the bright theme with a soft cream tone. 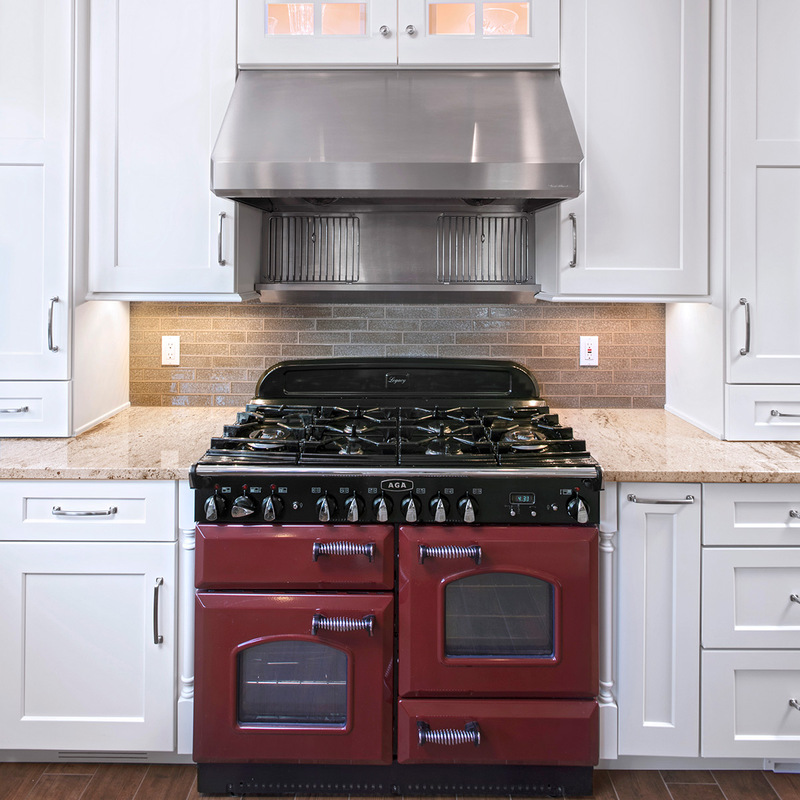 A distinctive custom hood presides over the professional range while the apron sink is wrapped with contrasting granite. 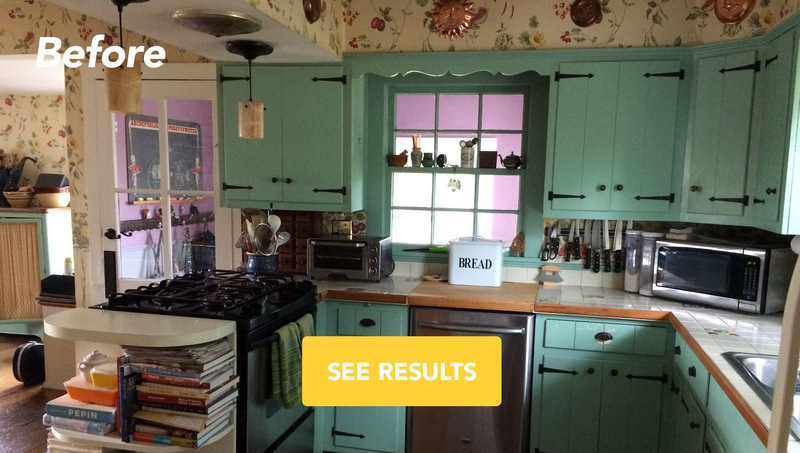 Raising the ceiling on in this charming and eclectic kitchen was just the start. A custom table topped in beautiful soapstone extends from the built-in shelving unit, providing a charming eat-in space as well as a valuable work surface. 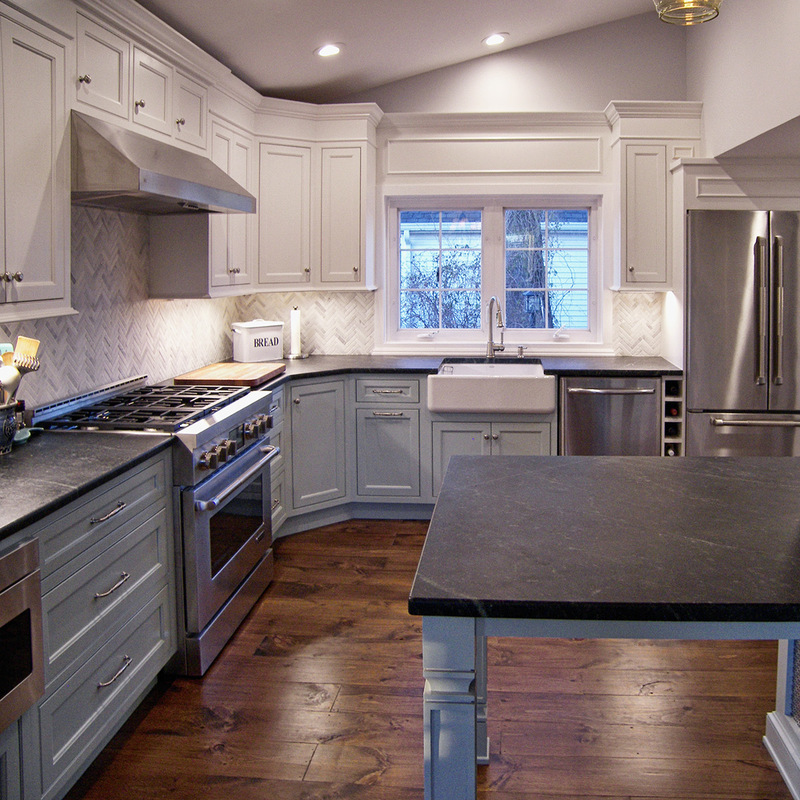 Robin's egg blue base cabinetry adds a touch of character while keeping the room light. Well-considered storage and surfaces maximize this kitchen's utility. A corner sink looks out upon the yard while a built-in refrigerator hides in plain sight. The custom island cleverly combines workspace, storage, and seating within a relatively narrow footprint.